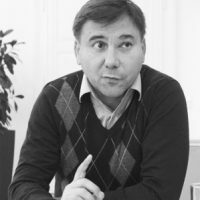 Ivan Krastev is a Bulgarian political scientist, Chairman of the Board of the Centre for Liberal Strategies in Sofia, Permanent Fellow at the Institute for Human Science, Vienna. How has the significance of democracy changed, and why do elections not stimulate the same pre-vote frenzy and post-result calm that they use to, and are supposed to? Mass migration is the 21st century’s revolution – leading, in turn, to a counter-revolution which threatens the core idea of the European Union. The refugee crisis has resulted in the reinforcement of stereotypes that Eastern and Western Europe already held about each other. Europe’s crisis is being felt at multiple levels, from the future of the Eurozone and divisions between Member States to the rise of populist forces.